Welcome to my world as a spoken word artist. I go beyond speaking the word. I illuminate it, set it on fire, and let it burn in your mind. I go beyond reciting the word. I perform it with my lips, hands, facial expression, and every part of me. I go beyond rhyming the word. I play it, use it to paint pictures, create images that dance and leap in your head. Spoken word is art. Spoken word is entertainment. Above all, spoken word is ministry! I am a young girl born and bred in Lagos, Nigeria. I believe I can use my words to serve as a change agent in the world... and some other cliche words you see in regular bios. ... some birds aren't meant to be caged. Their feathers are just too bright. I am a young girl born and bred in Lagos, Nigeria. Some people think I do not like to talk while some think I am friendly. Some people believe I am quiet, while some say I am loud. I think I am a very nice and respectful lady who just loves her space. Enigma is more like it. I am highly intuitive, highly observant, highly introspective, and highly intelligent. I love to read everything except academic books. I believe time is a better currency than money, and have learnt to use that principle to work for me. What can I say? Maybe I am just a deluded little child who likes to believe she is rich because she has lots of time on her hands, and not too much money. I am a trichology practitioner, cosmetic formulator, writer (ghostwriting, freelance writing, etc), editor, and of course, a Spoken Word Artist. I have two published books, and a thriving hair cosmetics business that can be found here. By now, you can tell that I do not follow convention, and cannot be fitted into a frame. Pardon me. I tried to be normal, but failed miserably at it. I lied. I never tried to be normal. I only said that because that's what normal people say. So maybe I tried after all. I believe people can use their gifts to either curse or bless. I have therefore decided that no matter where I am called to perform, my gift of spoken word will be used to bless others, by being true to the art, true to the words I speak, and true to the message I pass across. Welcome to my world as a Spoken Word Artist. Sorry, we had to meet this way. I am well-behaved in person. But then, how will you get to find out if it is true, if you never invite me to perform at your event? This bio is unofficial. Do not use it for any reason. If you want a sanely-crafted bio, please check the one below. 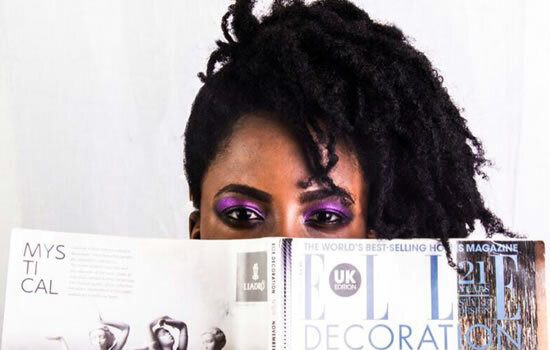 Atilola Moronfolu is a multi-faceted entrepreneur. 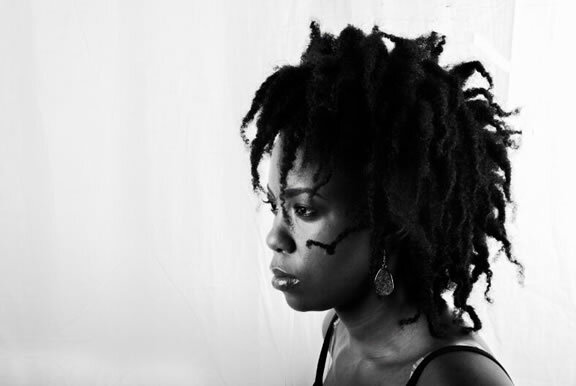 She is a Writer, Editor, spoken word artist, and a blogger. She also edits books for fellow writers and bloggers and gets them ready for publishing. Having had the opportunity to perform in and outside Nigeria at various events, she is one of the visible faces of Spoken Word in this generation today. 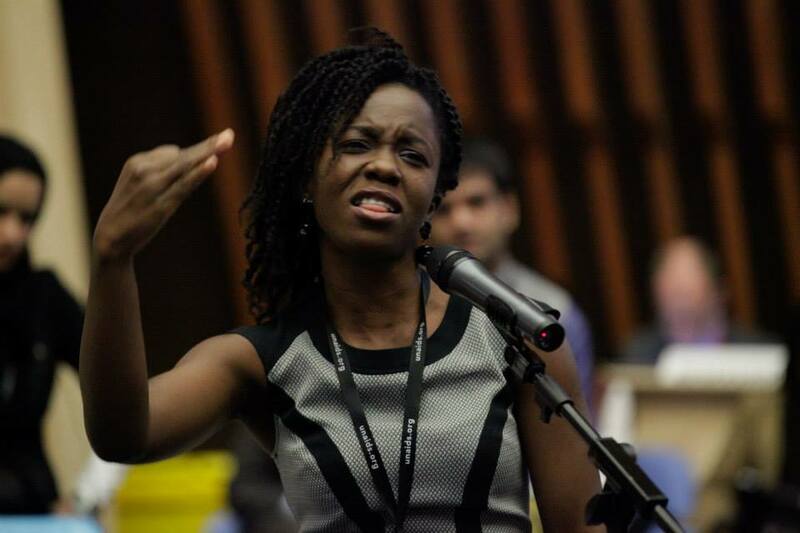 She has performed for the United Nations at the UNAIDS PCB Thematic Segment in Geneva, and was a semifinalist in the first Rio International poetry slam, FLUPP Festival, Rio de Janerio, Brazil, having scored the highest in the whole competition. She is the convener of Rhyme and Reason Concert, and has appeared on stage with international Rap and Spoken Word Artists such as Da' T.R.U.T.H., Ezekiel and Janette...ikz of P4CM. She has also performed at popular spoken word events like Word Up, Unchained voices, Chill and Relax, Freedom Park, Metro FM Open Mic, etc. She reads at various literary events in Nigeria. She also trains teenagers in Spoken Word Poetry, and is the current Spoken Word tutor at House on the Rock Teens Church. She has also been featured on several Television and Radio interviews to talk about the Spoken Word movement in Nigeria. 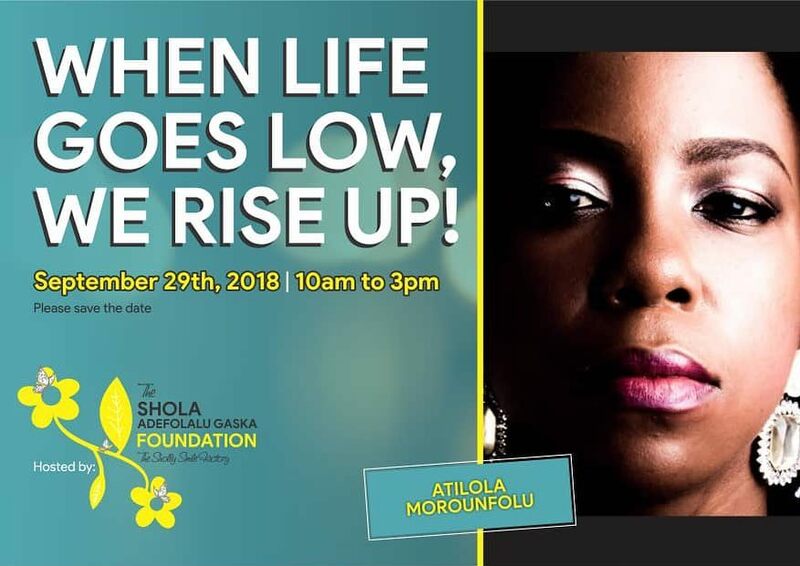 She is an ambassador for the Hands Up For Her campaign in Nigeria by Beyond the Classroom Foundation, where they focus on the plight of the Girl Child, especially on the International Day of the Girl Child, which is celebrated on the 11th of October after being declared by the United Nations. Transiting from consulting into the literary world, she has made giant strides in a very short period. She is an author of two books and more to come. This is a paid event, open to the public. 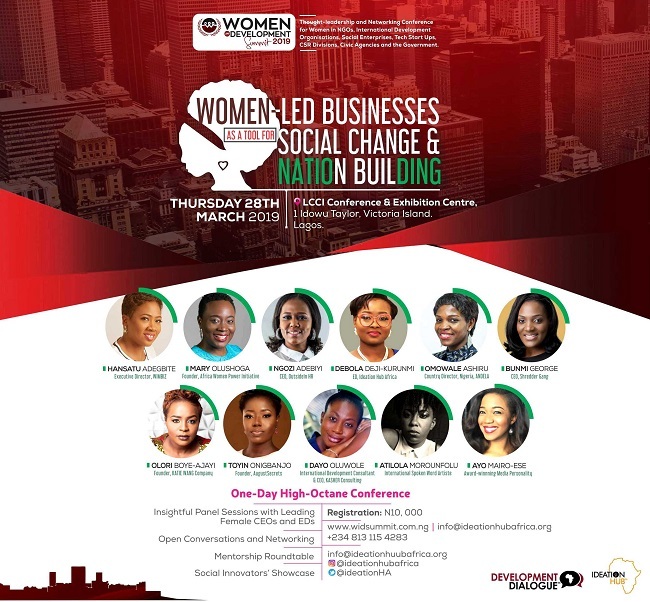 This event is free but you need to register to attend by sending your name and gender to theshollysmilefactory@gmail.com. I do not like being referred to as a poet. It sounds like someone rubbing gravel on the surface of my molars. I believe I am nothing like what people picture when they hear the word 'poet'. Artist! Now, that is the word I love. Just like a painter can tell a story with several paint colours and brushes, I believe a spoken word artist tells stories when he uses his tongue as a brush to paint words, just like the colours, on people’s minds, using tools like imageries, word plays, punchlines, alliterations, and the most basic, which is rhymes. And as such, I believe anyone who refers to himself as a spoken word artist, but does not paint any picture in the mind of the listeners has failed woefully. I did not actually set out to be a professional Spoken Word Artist, but was something I stumble upon when I was trying to promote my self-published book. With the encouragement of other great spoken word artists around me, I decided to take it serious, since I had what it takes to be one. I had the words, since I was a writer of poetry, prose, and drama. I also had the energy to perform, as I have always had one or two reasons to perform on stage since I was young. With a little polishing here and there, my career as a female spoken word artist escalated in leaps and bounds. To me, Spoken Word is not just a form of poetry or entertainment, but a ministry, regardless of what kind of stage I grace. I can never be better at their style than them, but I can always be the best me! Thanks for considering Atilola to perform at your event, conference, concert, wedding, funeral, birthday, etc. Please fill the form below and we will contact you as soon as possible.